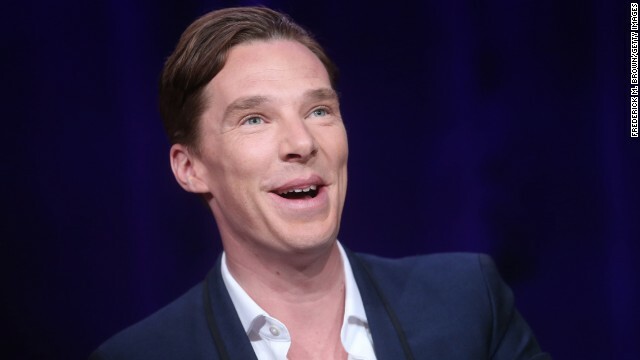 Benedict Cumberbatch sees no reason why "Sherlock" would have to end anytime soon. The in-demand actor reassured his fans at the drama's Television Critics Association panel on Monday that he's "fine" with the immense attention the role of Sherlock Holmes has brought him, and he isn't ready to give up the character. "I'm going to keep going with it," Cumberbatch, 37, told press. "I love it. I find it very invigorating." That's got to be music to the ears of "Sherlock's" producers, who are currently basking in the success of the series' season three debut stateside. The program, which airs on the BBC in the U.K., premiered on PBS Sunday with an average audience of 4 million, a 25 percent increase over the viewership for season 2's premiere. Cumberbatch, of course, is already widely beloved, and has cultivated a following that's left him both grateful and surprised. "I think a lot of (the attention I get) comes with who (Sherlock Holmes) is - he's a very iconic figure," Cumberbatch said, via THR. "It's kind of extraordinary and a little bit unnerving, and I do feel that has to be acknowledged. ... the fact that they are so supportive, loyal and by and large intelligent ... and committed to something I really love doing and a character I love playing. It means a hell of a lot to me."